Mazda has officially confirmed that it will start selling its first modern diesel in the U.S., and it will come under the hood of its CX-5 crossover. 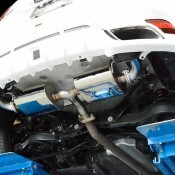 This, all while the manufacturers that have always been very pro-diesel, the Europeans, are now shunning compression-ignition engines and looking for alternatives. Just as everyone’s attention is focused on the 2019 Chicago Auto Show, Mazda coyly dropped a teaser photo of a new crossover that will debut at the 2019 Geneva Motor Show this March. Without giving any hints on what this model is, Mazda looks like it’s teasing what we believe is the new CX-4. There’s no indication that this model is actually the CX-4, but the image reveals a model that looks too big to be a CX-3 and too tight to be a CX-5. Whatever it is, Mazda has said that this model will incorporate its modern Kodo design language, and, more importantly, it will be available in the U.S. at some point in the future. The 2019 Geneva Motor Show kicks off on Thursday, March 7, 2019. 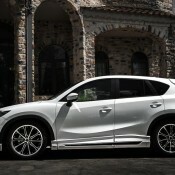 Quite frankly, the new 2019 Mazda CX-5 with a turbocharged engine and Signature trim feels like a premium car. 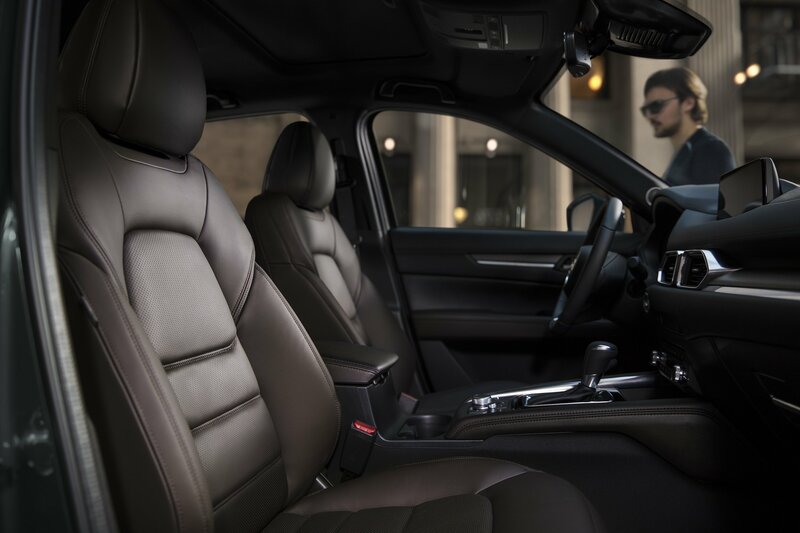 It packs the gear of the heavyweights in a body that entails sophistication. Add to this a powerful, sporty brand image that I find more alluring compared with its standard competition, and you have yourself a car so well formed one may consider it over an Audi or a Lexus. 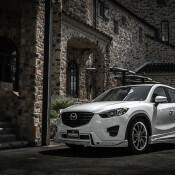 Up until the new model year, the Mazda CX-5 did lack a powerful engine, and, quite frankly, some of the gizmos and luxuries one can expect of a car of this stature. 2019 comes to correct these problems with a 2.5-liter, turbocharged engine, a whole lot of standard gear for its top end Signature trim, and a fitting price. That fitting price? Well, you will have to churn out more than $38,000 for the 2019 Mazda CX-5 Signature AWD with a 2.5-liter, turbocharged engine. 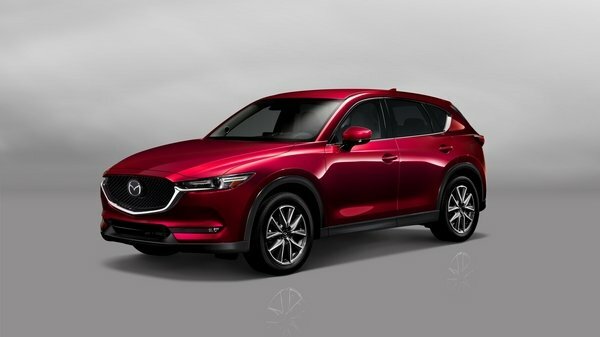 It’s been less than two years since the second-generation CX-5 went into production and Mazda is already rolling out an update. While it’s not exactly a facelift design-wise, the upgrade adds a more powerful turbo engine and two new trims with more premium features. And higher prices obviously. Mazda is giving its U.K. customers a chance to wring some zoom zoom out of the new CX-5 on the Longcross test track in Surrey, no helmets required. Sounds like a lawsuit waiting to happen, right? Not when the experience happens via virtual reality. 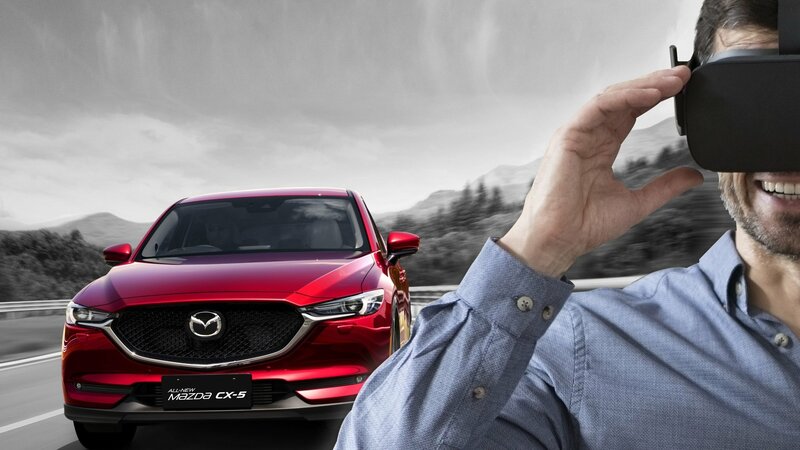 “With virtual reality our aim is to create a sense of oneness with the car through an immersive experience,” says Kim Crawford, Mazda U.K. Marketing Communications Manager. “You literally get a test drive experience on a track, whilst sat inside the all-new Mazda CX-5 without leaving the building.” U.K. residents are encouraged to check out the new tech at four select Mazda shopping centers, including Bullring, Birmingham, August 5th and 6th, Trafford Centre, Manchester, August 12th and 13th, Bluewater, Kent, August 19th and 20th, and Braehead, Glasgow, September 2nd and 3rd. And while the 175-horsepower SUV isn’t exactly the Japanese automaker’s most adrenaline-inducing model on offer, the virtual experience should be a big step up from the normal test drive routine on public roads. Which begs the question – how will technology change the car buying experience in general? Read on for our take. 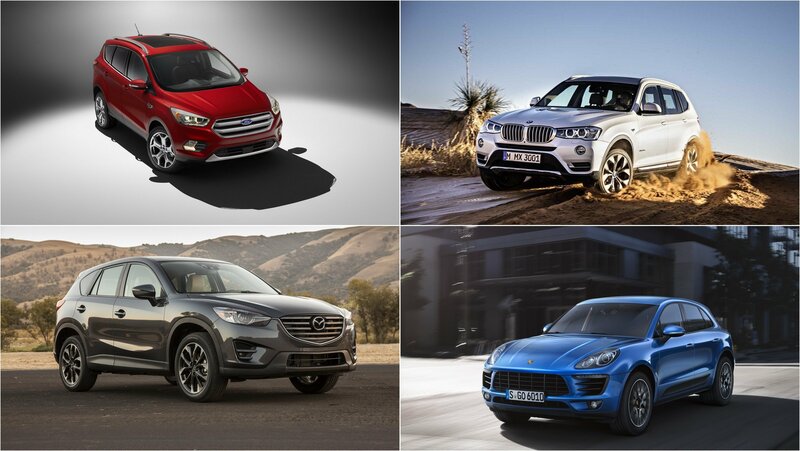 It’s no secret the compact crossover segment has exploded in popularity over the last several years. Nearly every automaker sells some form of vehicle in this class, including the Ford Escape, Hyundai Tucson, Jeep Cherokee, Kia Sportage, Toyota RAV4, and Subaru Forester. 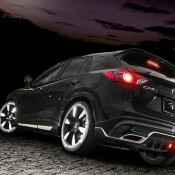 But it’s the Honda CR-V and Mazda CX-5 that have attracted the most attention in the recent months. Both enter the 2017 model year with heavy changes and big improvements. The two aren’t the only new contenders in the compact crossover class, but they sure stand out. 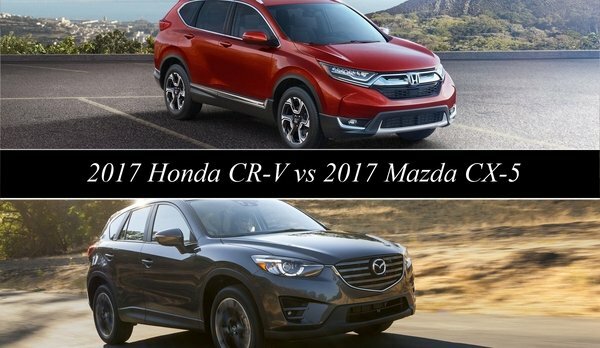 That’s why we’ve chosen to take a close look at the CR-V and CX-5 as they compare to each other. From exterior aesthetics and interior features, to drivetrain options and trim level pricing – everything is detained below. Of course, we’ll have to save driving impressions until we can get behind the wheel of each, so consider this a more objective run-down of features rather than a subjective comparison of in-person impressions. 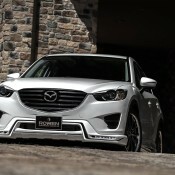 When it was introduced for the 2013 model year, Mazda had high hopes for the CX-5. But, the model has been a major disappointment with sales in 2014 not even hitting the 100,000 mark while models from competitors, like the Honda CR-V, for example, saw much higher numbers to the tune of 350,000 examples sold. The CX-5 was facelifted in 2016, but it still failed to meet expectations, despite having a fair amount of muscle under the hood. 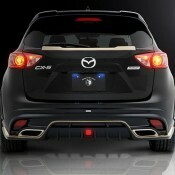 Consider the CX-5 isn’t exactly a slouch, it must be the design that turns customers away, so Mazda got to work. 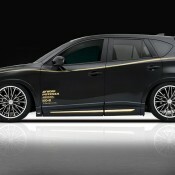 It didn’t take long for Mazda to complete the second-gen model, and it made its debut at the 2016 Los Angeles Auto Show sporting an awesome new body color, G-Vectoring Control, a revamped body shell, slightly wider stance, and the addition of Mazda’s SKYACTIV, 2.2-liter diesel engine as an option for U.S. buyers. 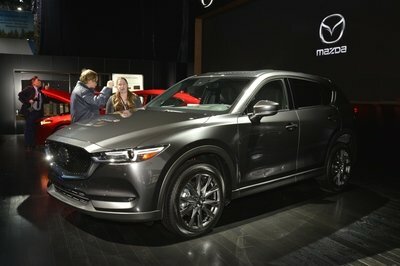 The hardest thing Mazda really has to overcome is how overcrowded the compact SUV segment really is. 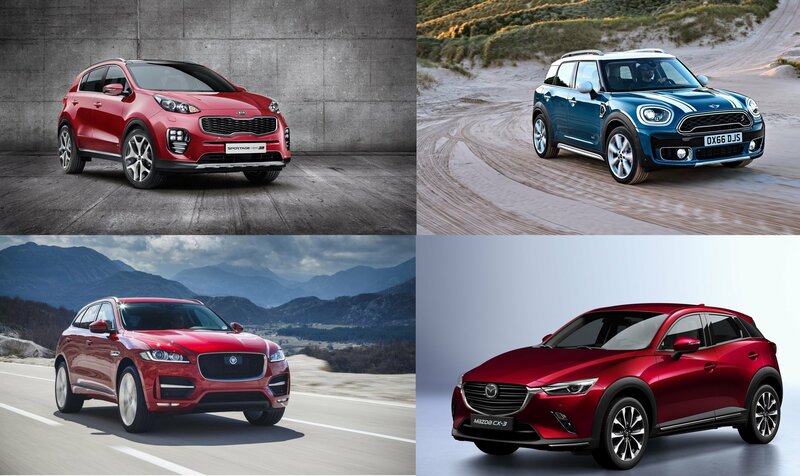 Big names like CR-V, Escape, Equinox, and Rav 4 all resonate through the minds of those looking for the best ride in this segment, and that doesn’t help a newer model like the CX-5 – being around just a few years – establish a good hold in the market. But Mazda isn’t giving up yet, and the new design that makes front clip inherently longer than the outgoing model should help the CX-5 garner the attention of those really wanting a sporty compact SUV. On top of that, there’s lots of cool technology like Mazda’s G-Vectoring control, i-ACTIVESENSE safety features, and there’s even a two-step reclining mechanism built into the rear seats. But, there’s a lot more to talk about when it comes to the 2018 Mazda CX-5, so let’s dive on in a take a good look at what it brings to the table and how it compares to the rather stiff competition in this segment. Rowen Japan is a tuner with a rather unique taste that not everybody finds interesting. 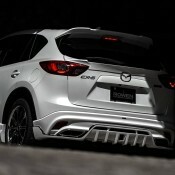 Their body kits have a very strong Japanese flavor, as seen with their latest release, Rowen Mazda CX-5 facelift. It’s a busy looking thing, but you could call it artistic. 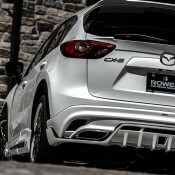 The styling kit on Rowen Mazda CX-5 consists of many different parts which are mixed to give the car the proper makeover the tuner was after. It has revised bumpers and skirts, and they are garnished with extra bits that are purely aesthetic and probably have no technical benefit in terms of aerodynamics. So you get a chiseled front apron with a spoiler lip and LED lights, side skirts complete with aero blades and stuffs, a super unique rear diffuser with integrated tailpipes and chrome accents, and a whole host of spoilers on the tailgate and the roof. Then there is the set of over-fenders, and all they do is make the wheels look small – unless you go for Rowen’s own SCHWERT SC6 20-inch wheels. 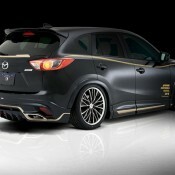 Rowen Mazda CX-5 body kit costs, in its full-fat version, costs 300,000 Yen which is roughly 24,000 USD. 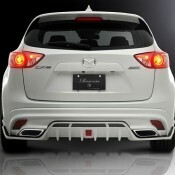 Sport exhaust system will add 100K Yen to that and the LED set another 35K. 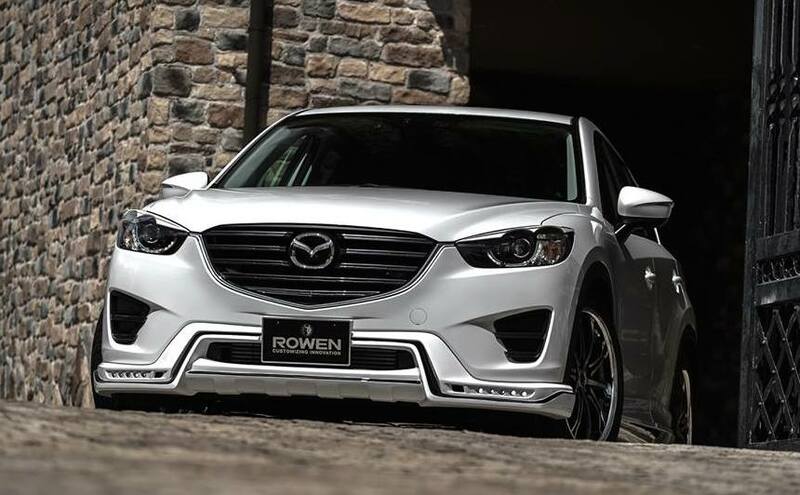 The post Rowen Mazda CX-5 Revealed with Dapper Looks appeared first on Motorward.